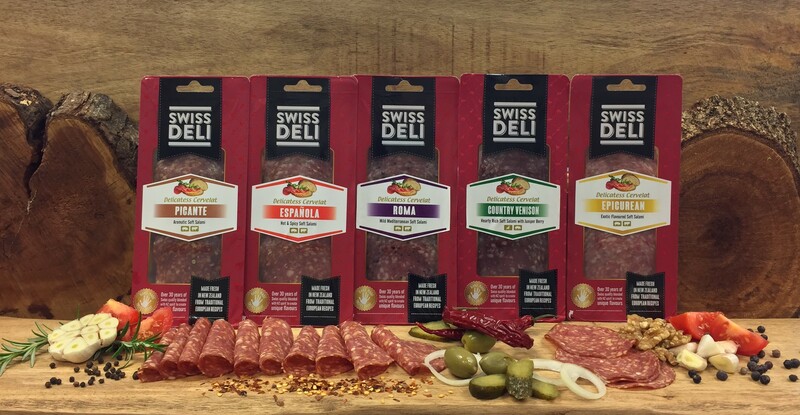 Swiss Deli is a New Zealand manufacturer of continental style gourmet sausages, salami, ham, bacon and speciality meats based on proven traditional European recipes and production methods that create unique and delicious flavours. 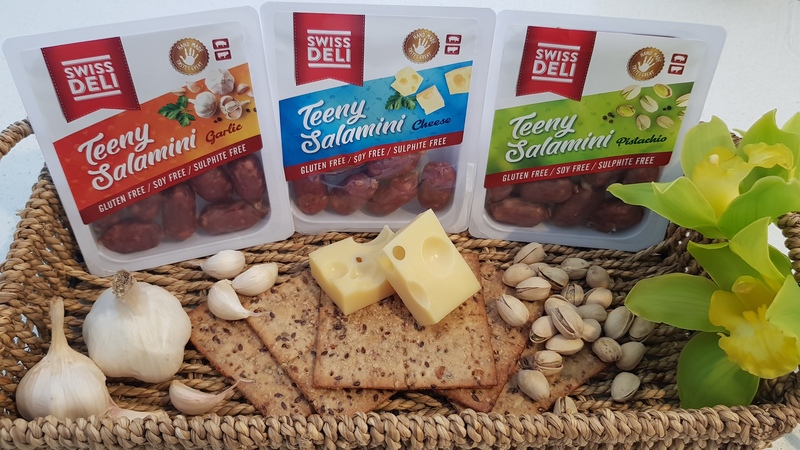 Swiss Deli range is an artisan product, made by hand from the best quality New Zealand beef and pork with no fillers, no food colouring agents and is entirely gluten free. Uncompromising on authenticity, the Swiss Deli still follows time honoured European traditions with highly prized recipes known only to our Swiss trained butchers. Highly regarded and acclaiming a strong reputation – today our gourmet smallgoods remain known as New Zealand’s best. All Swiss Deli gourmet sausages, salami and hams are 100% Gluten FREE, 100% Fillers FREE and 100% FREE of Artificial Colouring and Genetically Modified Ingredients. Here at Swiss Deli we are passionate about creating delicious foods that bring family and friends together at one table. Below are some of our recipe suggestions about how to cook with Swiss Deli sausages, salami and hams to create masterpiece dishes in your own kitchen. signing up to the SWISS DELI Newsletter. Website design by Forge Online.